How to add a waitlist to your trip? 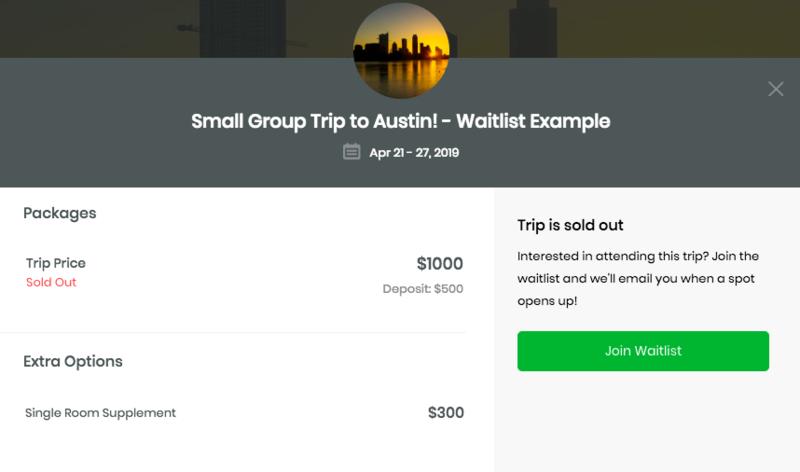 Learn how to add a waitlist to your trip when it's sold out or when the booking deadline has passed. Do you think your trip is going to sell out? 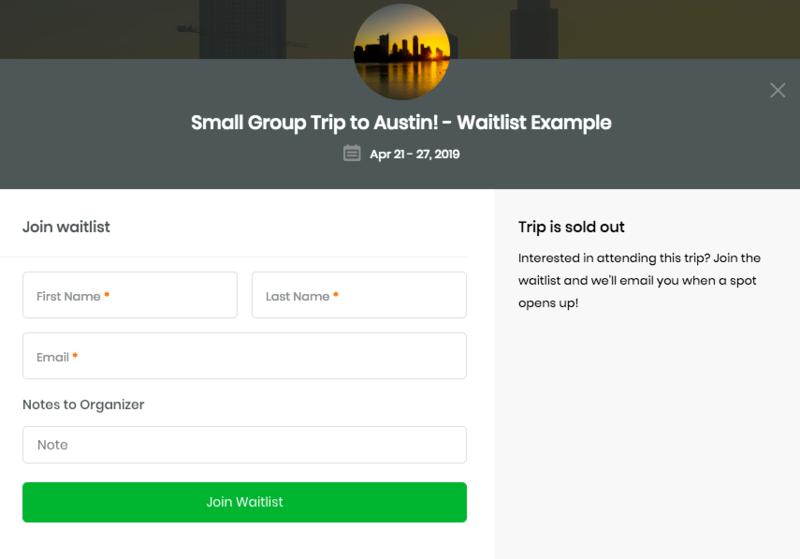 Use our waitlist function to collect emails from people that are still interested in joining your trip and easily manage your waitlist. To add a waitlist to your trip, go to My Trips and choose Edit Trip from the drop-down menu. Stay in the first section of the trip builder - Trip Basics and scroll down until you can toggle the waitlist function on and off. Press Publish and the waitlist has been enabled. The waitlist will now automatically appear whenever your trip is sold out. The waitlist will also appear if you had set a booking deadline and this deadline has passed. Once a potential participants clicks "Join Waitlist", they enter their first name, last name and email. They can also leave you a note if they wish. 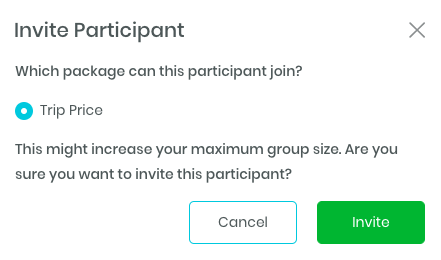 Invite - Choose which package you'd like to open up to the participant and send them an invite for that package only. They have 48h to respond to the invite. After 48 hours, the link will not work anymore. If they click on the link in the invitation email, they will be redirected to the regular check-out process. Please note that with the invitation link, a participant can sign up for your trip even if the maximum group size is reached or the booking deadline has already passed. That's it - you can now easily capture every interested customer and manage your waitlist with ease!